I’m really excited about presenting some makerspace programming ideas with Region One librarians this week. Along with discussing how to start a makerspace, I’ve designed some small design challenges for some hands-on learning with Makey Makey, Sphero, littleBits, Chibitronics Paper Circuits, and participants will even create some simple robots. 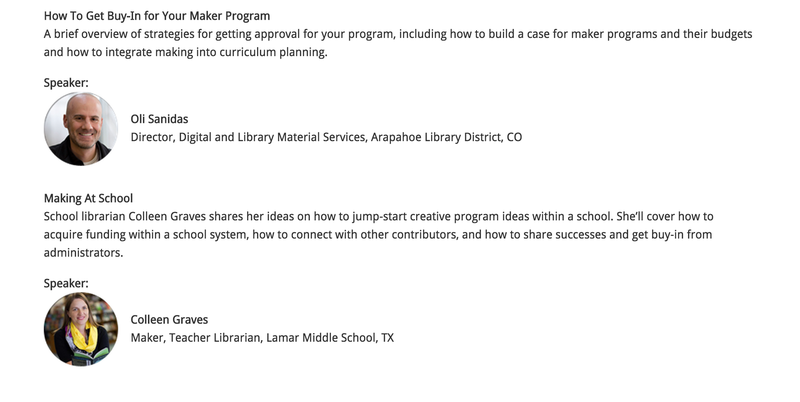 I’ll also be leading a webinar during the second School Library Journal #LTCMaker workshop in week four of the program. My webinar on October 14th will cover creative programming for school libraries, how to acquire funding for makerspace resources, and how to get buy-in from school administrators. 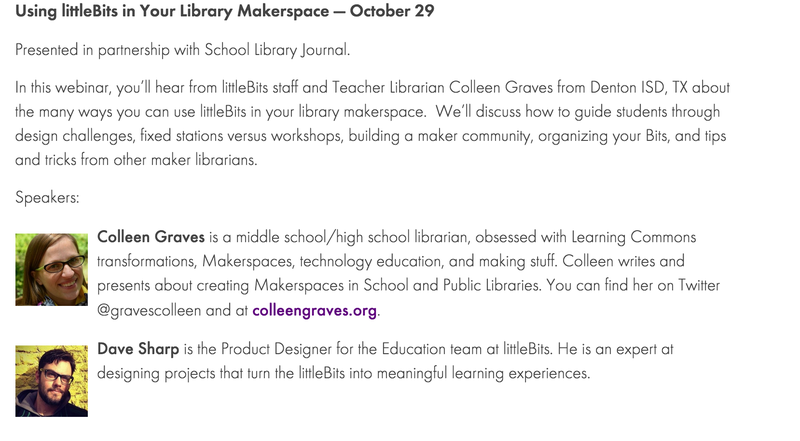 Lastly, I’m excited to announce the Librarian’s Guide to littleBits that I wrote will make a debut October 29th in a webinar with littleBits and Library Journal. You’ll be able to pre-register for this event soon. Plus, the guide will be published on littleBits site under the Educator Resources. One of my favorite things about writing this guide was interviewing all manor of awesome librarians. I spoke with the stellar school librarians Diana Rendina and David Saunders. 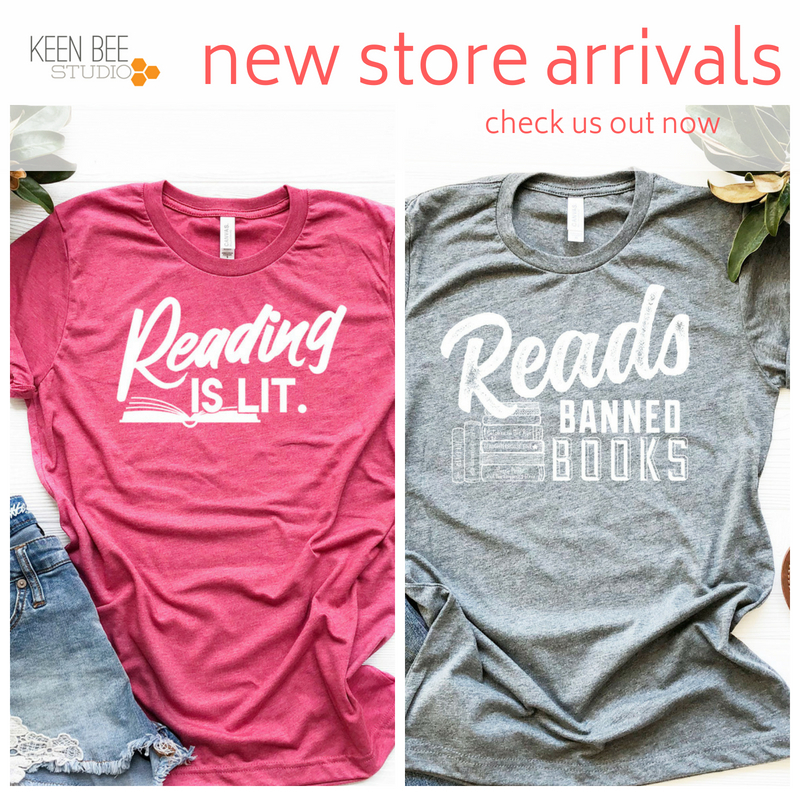 Innovative public librarians like Holly Arnason at Edmonton Public Library in Canada, and Mary Glendening the library director of the Middletown Free Library in Lima, Pennsylvania which houses the makerspace CreateSpace@MFL. Plus some creative academic makers like Chad Mairn, the director of the Innovation Lab in St. Petersburg, Florida, and UNCG Self Design Studio makers, Matthew Fischer and Sarah Prescott. ← Artbot Mania during Makerspace lunches @ryan_library with Sphero and littleBits!